He won the Outstanding Defensive Back Award while playing for the South Carolina Gamecocks. 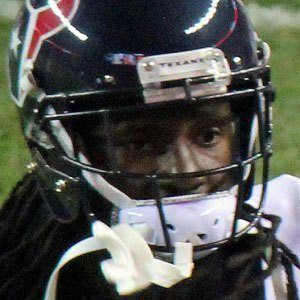 He caught an interception in a playoff game versus his former team, the Bengals, helping the Houston Texans to achieve their first ever playoff win. He fathered a son named Jay'vion. He was a cornerback in Cincinnati alongside Leon Hall, together forming what sports writer Peter King called the best tandem in the NFL.